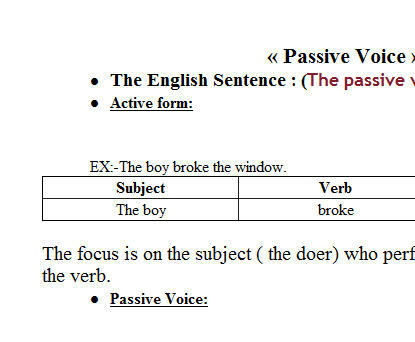 A brief introduction into the difference between the active and the passive voice + changes in the form. 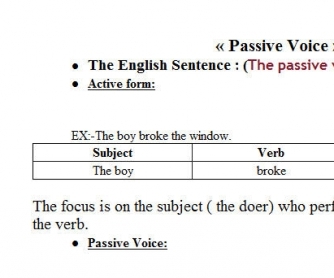 this worksheet sets clearly the difference between the active and passive forms in terms of both grammatical structure and use. It also provides some simple and clear examples of the changes that occur when forming the passive.